Last December, I received Sweetsation Therapy Sun*Brella Organic Triple Action Moisturizer with SPF 30+, currently rated the 4th best moisturizer with SPF by EWG. The product is now renamed as Sun”Si’Belle Organic Triple Action Moisturizer with SPF 30+ and Antioxidants and came compliments from Bellygoods, a Singapore webstore selling products from Sweetsation Therapy from USA. 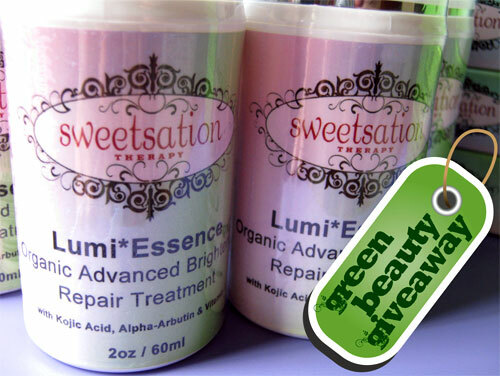 I learnt that Sweetsation Therapy is an organic brand which carries anti-aging skincare products that are pregnancy safe andÂ Sun”Si’Belle Organic Triple Action Moisturizer with SPF 30+ and Antioxidants is theirÂ best selling product. Â And I can see why. 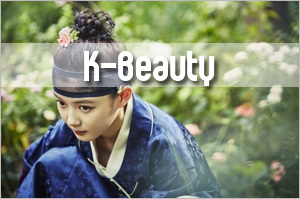 The product is popular because it is an all-in-one with its moisturizing, sun protecting and anti-aging properties! Anyway, after using the cream for awhile, I have to concede that this is a lovely moisturizer with SPF that contains mostly natural ingredients. 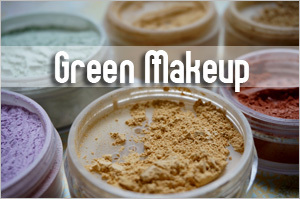 It uses 6.5% zinc oxide and 2.5% titanium dioxide that are non-nanonized. My only main gripe is the super long ingredient list! I was initially deterred by the long list and the presence of Cetearyl Alcohol at the top of that list. Although application was smooth, I found the cream dried up pretty quickly once applied and there were some resistance when I tried to blend the cream completely into my face. However, the lightweight moisturizer felt comfortable on my skin and is absolutely non-greasy, plus it does not leave any whitecast. I have slightly dry skin and I prefer to use it over my existing moisturizer. But if you have normal to combination skin, you should be able to use this alone quite comfortably. Another concern I had was the active ingredients as I typically choose sun protection products with at least 16% zinc oxide. So I felt that 6.5% zinc oxide and 2.5% titanium dioxide seem quite low. Upon clarification, I was informed that when a sun protection product contains both zinc oxide and titanium dioxide, the percentage does not have to be as high as if there is zinc oxide alone. 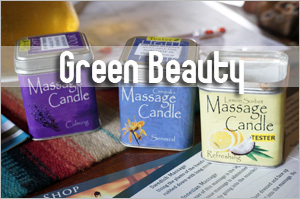 In addition, the product contains some oils that can offer some level of UV protection. A key selling point of Sweetsation Therapy Sun*Brella Organic Triple Action Moisturizer with SPF 30+ is its age-defying ingredients such as reishi mushroom with kojic acid, vitamin C and fruit extracts that help to repair existing sun damage. The cream also contains hyaluronic acid for intercellular hydration, caviar extracts with a host of vitamins and amino acids. 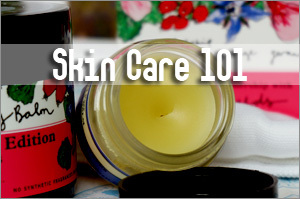 Other goodies include helichrisum that helps to clear acne and the powerful antioxidant, CoQ10. The 105ml bottle cost S$68 in Singapore and comes in a plastic pump bottle. If you’re in the market for a natural sun protection product, you might want to check this out. Or if you’re someone who dislike using a moisturizer and a sunscreen, this might work for you. I believe it’s great for casual sun exposure but if you’re going to be heading out to the sun all day long, I would strongly recommend constant re-application every two hours with this. 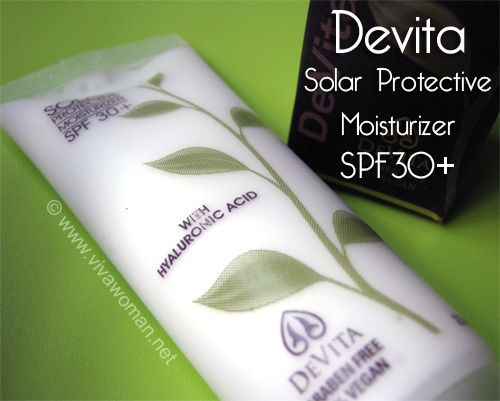 Review: Sweetsation Therapy face care products DeVita Solar Protective Moisturizer SPF30+ Green Beauty: Sweetsation for mommies & babies Sunscreen before or after moisturizer? how would you compare this with the marie-veronique creme de jour/soleil? I would love to get my hands on the marie-veronique products, but with shipping etc.. I’m still looking at a locally available product. there aren’t much good organic and/or natural sunscreens available locally so I’m looking at this. however, I didn’t find it listed on the EWG current list tho. would you think that it’s a comparable pdt? The list keeps changing. I’ve included the link here and in fact, it states no. 2 in that link for 2009 list. In terms of texture, I’ll say this one feels and applies better than MV’s. The non-tinted versions for Creme de Jour and Creme de Soliel give a slight whitecast so some pple would mind that. The tinted version is good for me, but it feels a tad powdery. In terms of ingredients and sun protection level, I’m more comfortable with MV because I have a personal bias towards zinc oxide. And I also like MV’s ingredient list because it is shorter and almost 100% natural…plus no alcohol. However, MV is a tad drying cos of the high zinc oxide content so you need to be using another moisturizer while this one is an all-in-one. Cost wise and availability, this product definitely beats MV. I am so used to using a moisturizer and a sunscreen that if I use a moisturizer which has SPF, I’ll feel naked. Hahahhaaa…. Btw, is it just me and my friend or like what I suspect, the weather is making my skin feels like the sahara desert? nope, pf1123, u’re not alone. i used to be able to survive with just a hydrating serum/moisturizer, but now i have to top it up with a cream moisturizer. and this was before i started using diorsnow’s Zno sunblock. 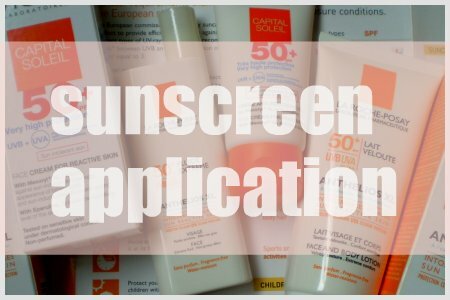 PPD ratings are only available for European sunscreens. Anyway, I did read that most mineral sunscreens containing zinc oxide and titanium dioxide do not have high PPD – maybe 10? It’s understandable since those with high PPD are chemical sunscreens with a couple of sun protection active ingredients. So it depends on your priorities. Those who go for mineral sunscreens are concerned with the chemical ingredients and some of those chemical sunscreen ingredients can potentially cause more free radicals. 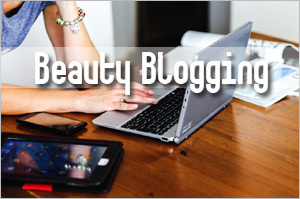 Oh this can be perfect for me as I am really a fan of moisturizer + spf products! You can say I am quite lazy that way. LOL. I just wish we have that here. The product is from US and you can get it from Sweetsation. I already use this moisturizer and totaly LOVE it. It feels just right, not greasy, not dry – just right and comfortable on the skin. I am totally fine with the long list of ingredients since it’s made with all the nutritious goodies that are actually good for your skin. No chemicals. As for where to buy, there is a “stores” link on Sweetsation’s site where you can find a store near you, if there is one. Oh good to learn that you’re loving this too. If you are in any other country you can visit http://www.sweetsationtherapy.com or http://www.amazon.com, whichever you prefer. 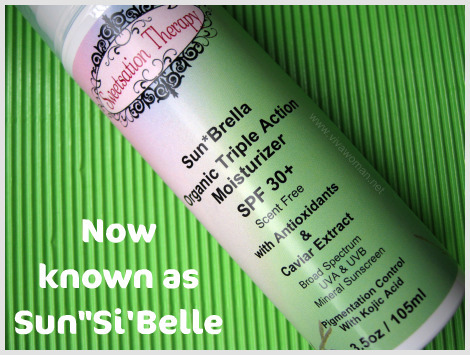 Please note that Sun*Brella was recently re-named to Sun*Si’Belle to better encapsulate the essence of the product. Thank you for the review Sesame. Yiting, I have that Diorsnow one as well…but I don’t use it at this period that my skin is so dry. The last time I experienced this dry spell is when I was in HK in Oct last yr. The absolute amount of active ingredients (zinc oxide and titanium dioxide)that is applied to the skin (and stays on the skin!) 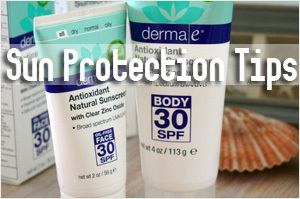 is a better gauge of sun protection than the % of active ingredients. MV’s sunscreens are not water resistant so I’m not sure how much of the 20% of zinc oxide will actually stay on the skin. The Sweetsation Therapy sunscreen is water resistant and so the active ingredients are more likely to stay on the skin. In general, for all sunscreens, apply more sunscreen on days with more sun exposure to maximise the absolute amount of active ingredients on the skin. So you have tried both the sunscreens? I haven’t put the Sweetsation Therapy sunscreen to test under water so while it states it’s water resistant, I can’t actually confirm. But now that you raise the issue, I did notice that when I applied the Sweetsation Therapy sunscreen on my hands and they came into contact with water under water, some of it came off easily and what I see are patches of white left on my skin. So I doubt I’ll use it for swimming. As I wrote, I think it’s good for casual sun exposure. Plus isn’t Sweetsation Therapy also a moisturizer? So what you wrote about MV’s protection lessened because it is mixed with a moisturizer will also apply to Sweetsation’s. In fact, come to think of it, it might be lessened more since it has so many ingredients if I were to follow your explanation. the last time i had to go through such a period of dryness was when i was in aussie in august… was winter so their climate was quite dry. currenly i’m not using too much of the sleeping mask that i have (it’ll mean that i have to buy another one real soon!) but rather i’m using a anti oxidant moisturizer + face oil at night to help to cope with dehydration at night. what i do if sometimes the skin feels too tight is that in the morning i just wash with lukewarm water, especially if i’m very sure i’ve cleansed my skin well the previous night. that helps to relieve the dry skin in the mornings. otherwise will have to use a cream cleanser. i have to stick with diorsnow for now as i’m not very happy with avene emulsion’s texture and LRP anthelios stings my eyes… wonder if the other LRP sunscreen contains avobenzone?? I’ve tried the Sweetsation one for swimming and some of it did come off (as do all sunblocks). However, when I refer to the water resistance, I mean sweating. I tend to sweat a lot but I can still feel it on my face at the end of the day. Wrt to the point about lesser protection if the product is mixed with a moisturizer, I am referring to dilution of the product. I had read a review which said that MV was thick and the user mixed it with a moisturizer so that it would “spread more easily” and so that she could “use less”. This practice effectively dilutes the concentration of the active ingredients. Just a cautionary note in case some users are inadvertantly reducing the protection in their sunscreen through dilution. I see…I have misunderstood what you meant about the moisturizer. Anyway, I do not encourage sunscreens to be mixed with moisturizer as I’ve written before. But I believe there are some who like doing this, even with other brands of sunscreens they use. In fact, I was surprised that Chizu Saeki of The Japanese Skincare Revolution recommending this in her book as well. Not sure what the debate is about. 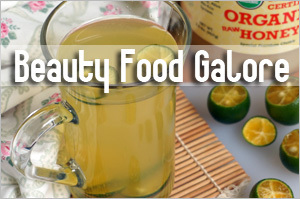 High amount of skin “food” ingredients doesn’t interfere with the SPF factor. 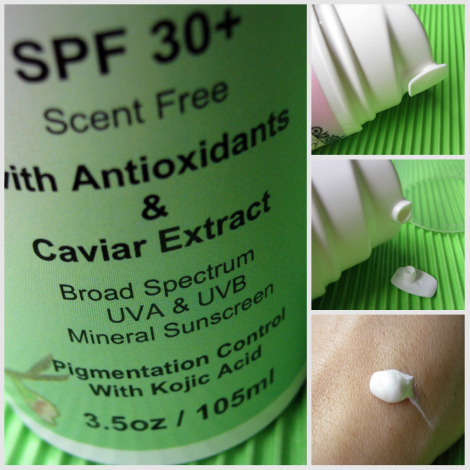 This product is designed to provide SPF 30 all on it’s own and approved by FDA. It is a moisturizer also so there is no need to mix it with anything else. As for water resistancy, it is water resistant but not water proof. There is a difference. After swimming or exccesive sweating some of it will come off and that is to be expected. That is why it is recommended to reapply every 2-3 hours or as needed. You have to determine why your skin is oily. Sometimes not enough moisturize can lead to oiliness as well. 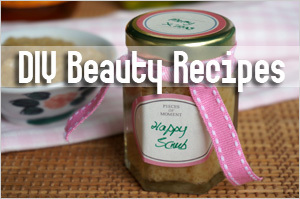 You can use it alone and your skin should feel quite comfortable. I think it’s kind of hard to find sunscreens/sunblocks that are oil free and natural. Hey Sesame, I ordered both the Sun’n’Fun Organic Baby Moisturizer with SPF 30, and Sun*Si*Belle Orrganic Triple Action MOisturizer SPF30+ in sample sizes. The sample are quite affordable (postage inclusive) and I think they might last me one to two weeks at normal usage. I can’t come up with a discernible difference between the two, but I thought I’ll share my experience thus far… before I forget! Both moisturizers need quite a lot of toner/water to apply. Otherwise it’ll become “powdery” and I’ll be struggling to blend in the moisturizer. This is a hidden cost aspect to me. Right now I am thinking of not completely drying my face after I wash up, but I’m not sure if that’s entirely a good workaround! In terms of oiliness, they’re quite good though. When I dab my face in the late afternoon I would use up my first blotter very easily, and I usually end up using about 1 3/4 or 2 (in terms of area) facial blotters. With the Sweetsation Therapy moisturizers, I only use up about 3/4 of a blotter and even that’s with quite careful dabbing everywhere! I’m glad the shipping was prompt and the products were quite satisfactory. 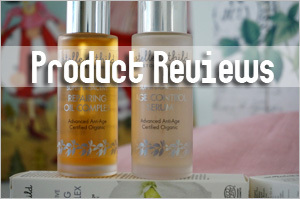 My experience with the one I tested is that I need to have an oil applied on, otherwise, it becomes a little dry and difficult to blend somewhat. But yes, agree that the texture isn’t oily and I think most pple might like it. Must try the baby version soon. Actually, I find toner/mist a necessity these days. It’s more hydrating for me. 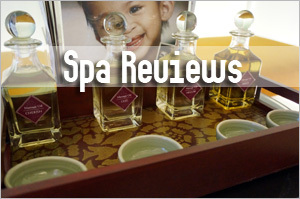 Perhaps you want to get one of those face spritz from Avene or Vichy. Even Evian’s is good enough. Yes, definitely to prevent clogged pores. It appears that Bellygoods is no longer in operations. Is there anywhere else that carries the product? How about Bud Cosmetics?